CEO of Tammy Taylor Nails, Inc.
Those that want to make more money and those that actually put their mind to making more money: are 2 different stories. I was going through my website searching through all the web-videos, printed articles and anything that pertained to doing better nails; improving your business, and making more money; and I was AMAZED! There were at least 100 pages of information and hours & hours of web-videos, FREE! So, I started thinking and trying to figure out why a Nail Technician who is not making enough money, and/or not doing Great Nails, would not have GRABBED onto all of these FREE resources and run with them! And what I figured out was: When you are down already, because you do not feel your Nails are good enough, or your bills are piling up, and you are not making enough money; little things like retailing a Tammy Taylor Thymolize or cleaning your Station, or watching a Tammy Taylor Nail Procedure video, or passing out business cards, or practicing on your Tammy Taylor Practice Sheet, or reading about “How To Do Better Nails”, and all the “How To…” make money articles I have written; just does not seem like enough to get you out of this jam; because you feel like you need it all today; and fast. This is exactly the attitude that is stopping you from making money! And from doing GREAT NAILS! Stop watching your life like it’s a television show and get in the middle of your life: And be the main character! This will make a HUGE difference. It does not matter if you are just starting or if you have been in the business for 25 years. You need to always keep learning. Just like a director knows everything and everyone in their show, you need to learn about everyone and everything in your show, called your life. For your show, you need to start working on your script and decide if you want instant fame, instant fortune or win the lotto. Nahh! None of these shows would be interesting enough. All the best shows are about ordinary people with lots of trials and tribulations, and how they overcome them. We all love a happy ending when the underdog wins! Really, you are the underdog right now; and how does the underdog always win? Just like Rocky, Tammy or the American Idol: Through determination and Hard work! ___Your name here___ Let’s not just talk about it! Let’s do it! Building a successful business is a slow steady process, but it is worth it! It will take one client, one nail, one class, one video, one article and one business card at a time. The average Tammy Taylor Nail Tech sticks with my Tammy Taylor Team and me until they retire. Because, they know that no other nail company is going to care as much about them and their business as we do. Also, they know I personally use and test all of my products, assuring quality every time. And, I write all of my own Education from my personal experience. SO, LET’S GET OVER, “THAT’S NOT GOING TO WORK OR I TRIED THAT ALREADY” ATTITUDE. LET’S GET DOWN TO BUSINESS! “Broke Nail Technician makes it big in the Nail business. In 2 years, she owns her own Full Service Salon. In 3 years, she has 6 people working for her. In 4 years, she manages her Salon full time and only does an occasional favorite nail client; and she takes her family on vacation 2 times a year! WHAT A GREAT SHOW, THE UNDERDOG WINS AND YOU ARE THE STAR! YOUR OWN SHOW! YOUR OWN BUSINESS! YOUR OWN LIFE! Learn everything you can about nails. Watch 15 minutes every week of a Tammy Taylor nail procedure video, and start with the Nine Most Popular Nail Procedures video, until you complete the video library. Learn about your product by going to the left side of your home page and click on Product Catalog. Learn about your business by watching the weekly web-videos on the Tammy Taylor Retail Site and PRO Site, 2-3 times each. Learn about making more money! Print out the articles, which have the green money sign ($) next to them. These articles are in Nail FAQ’s by Topic, which is listed on the left side of the Professional home page. Learn about doing nails, by reading all of my Step-by-Step with photos procedure articles. Learn about your clients, and make the client cards listed in Nail FAQ’s by Topic. Educate your clients on all of your services, and find out which other services they would like. Ask your Clients what products they use at home and demonstrate the products they can purchase from you. 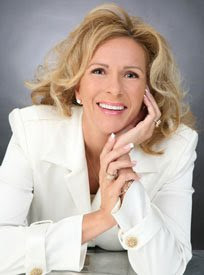 Learn about your nail company by watching the History of Tammy Taylor “web-video” or email me. So you can proudly promote the wonderful TT products you use.